While browsing through our stacks of magazines we came across this little gem. 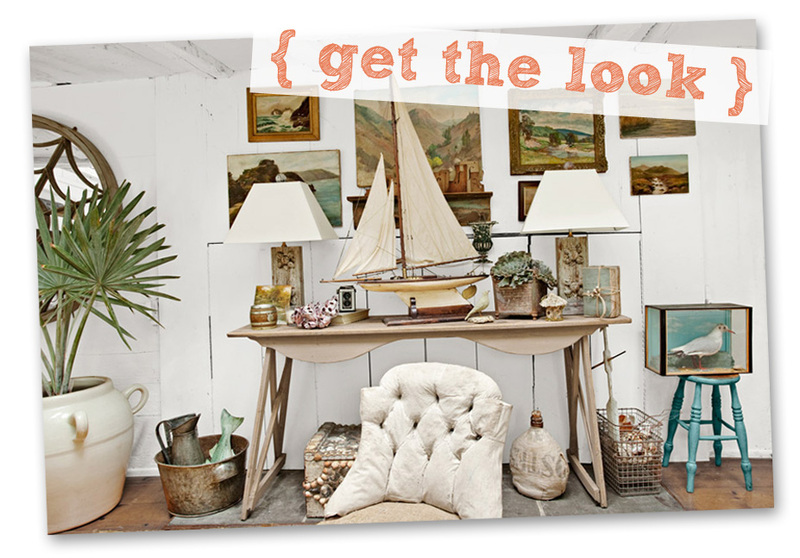 What we have here is a beautiful side console table and a stunning coastal theme arranged around it. Today we want to show you how you can easily recreate, or even expand on, this setting and make your home look like it should be featured in magazines. Clear a space and get ready for a coastal over haul because we’re turning you into a pro! Let’s start with the base piece. We will start to build from the side console table and go from there. Choose a solid table that will fit perfect in the coastal theme. Make sure you have plenty of space to play with too. On top of it and below it! Hit the walls with a few framed art pieces. These paintings have a strong nautical theme and bring more ocean vibes into the setting. 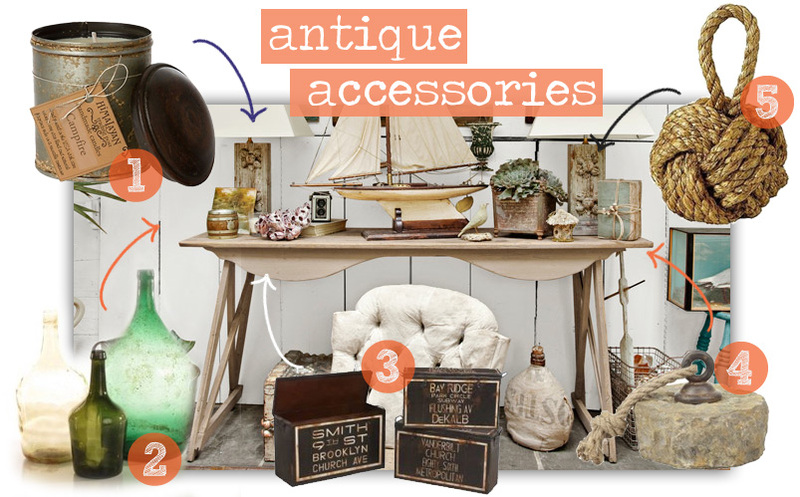 Consider going antique or at least the vintage look to scare some extra style points. 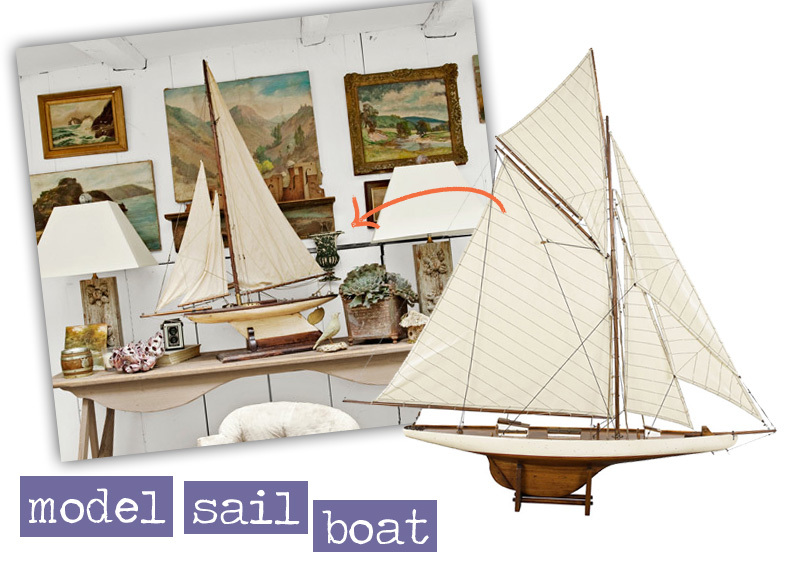 This scene is not complete without a replica model sail boat. Finding the right one for you will complete this look! 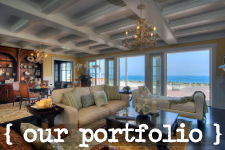 Let this model shine and breathe that fresh ocean air into your home while everyone marvels at it. You’re going to need a little light in that space which provides a good opportunity to bring in rustic-coastal style lamps. 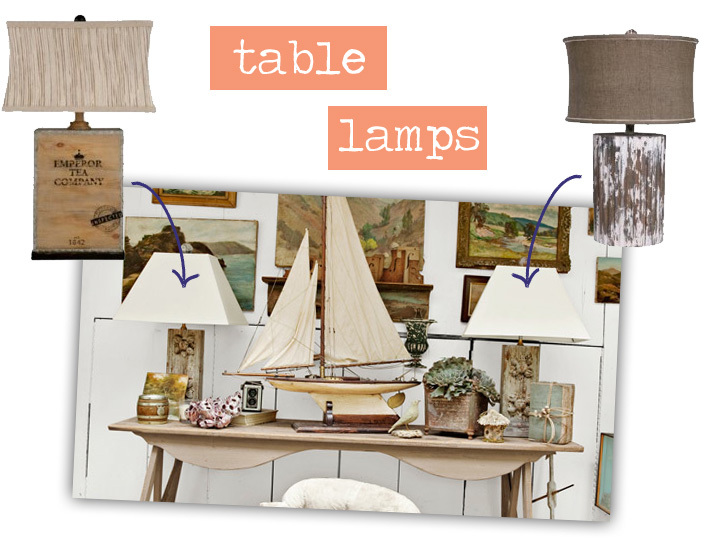 You don’t want to go overboard on the shells or ocean theme, so why not balance it out with a couple rustic-coastal lamps. What would we do without accessories? I mean really, where would we be? Let’s finish this setting by pointing you in the right direction. We only want to get your started with a few because we think that every space needs a personal touch added by you. 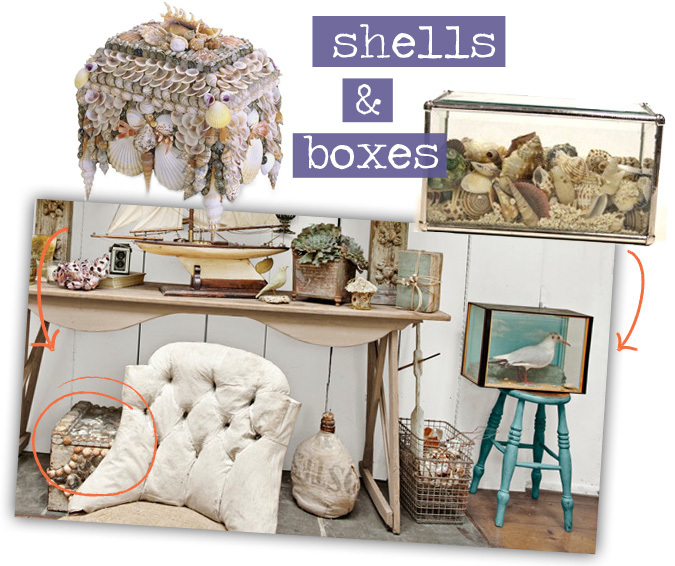 Run down to the beach and hunt for shells, rocks or anything that will fit into your setting. While you’re down there you can stop by our shop or go online to grab these accessories. 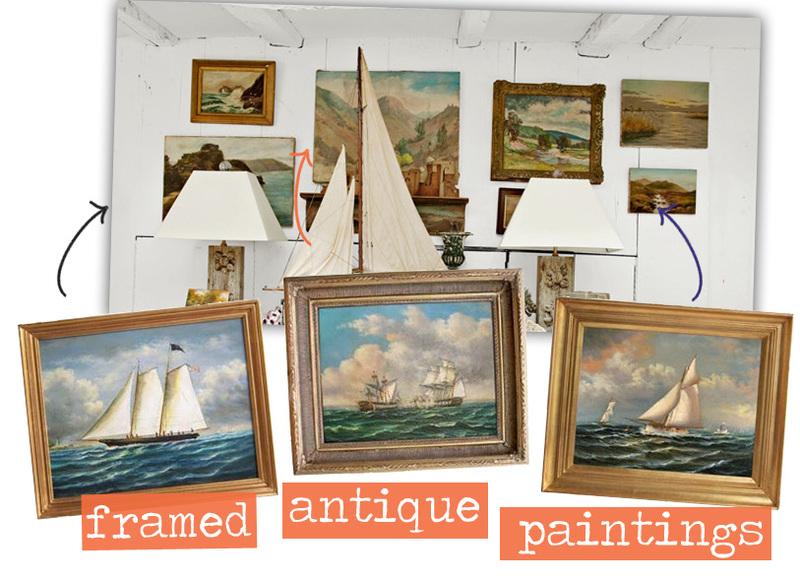 Find antique accessories and more at Tuvalu Home! We’ve got you started and now it’s up to you to finish it! We want to see what you do and how it looks finished. So don’t be shy and send us over some pictures of your space! LoVe!!! 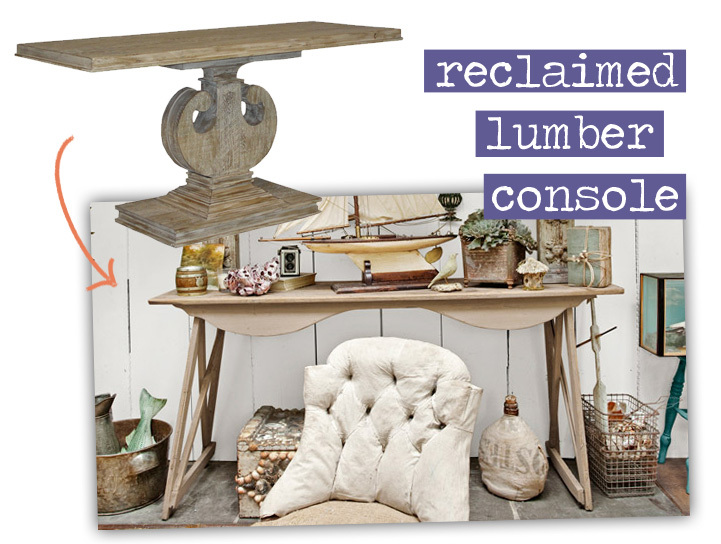 Especially the reclaimed lumber console and table lamps!! Thanks for the tips! Thank you! We’re glad you like the post! I love all of these accessories! Great post!